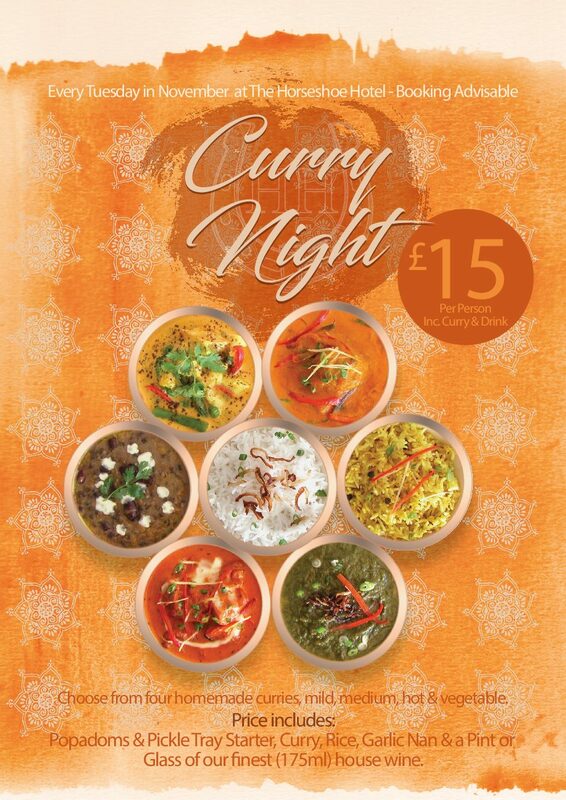 We’re having a curry night every Tuesday in November. It’s £15 for a curry and a pint (or glass of wine). Chef’s will create four delicious curries, mild, medium, hot and vegetarian.